We’re very excited to launch a new high standard igloo type - the Suite Igloo - for season 2019-2020. 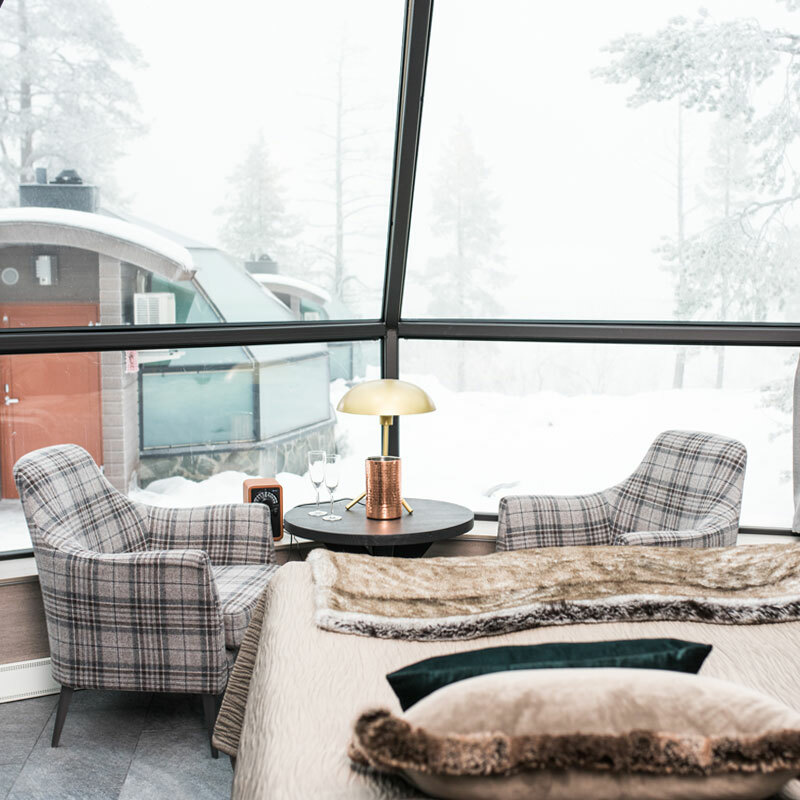 Suite igloos are a perfect choice for a more demanding guest, who appreciates luxury, spaciousness, and peace and quiet. The igloos are 53m² and each of them has a small kitchen, sleeping area, bathroom and lounge area. From the lounge, a door leads to terrace with a private outdoor jacuzzi. 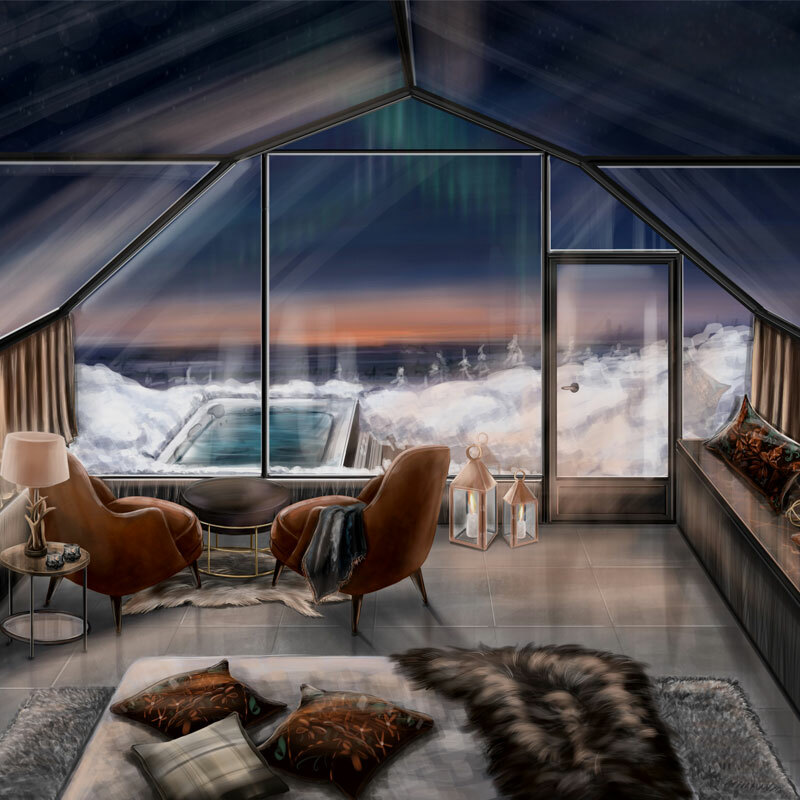 Suite Igloos are situated on a prime location a bit lower down on the side of the fell with an unobstructed view of the valley.Suite Igloos will be completed by 15th September. You can book them here or send your inquiries to [email protected] .Due to the new igloos there will be some changes in our igloo types. You can read more about the new Suite igloos and igloo types below. 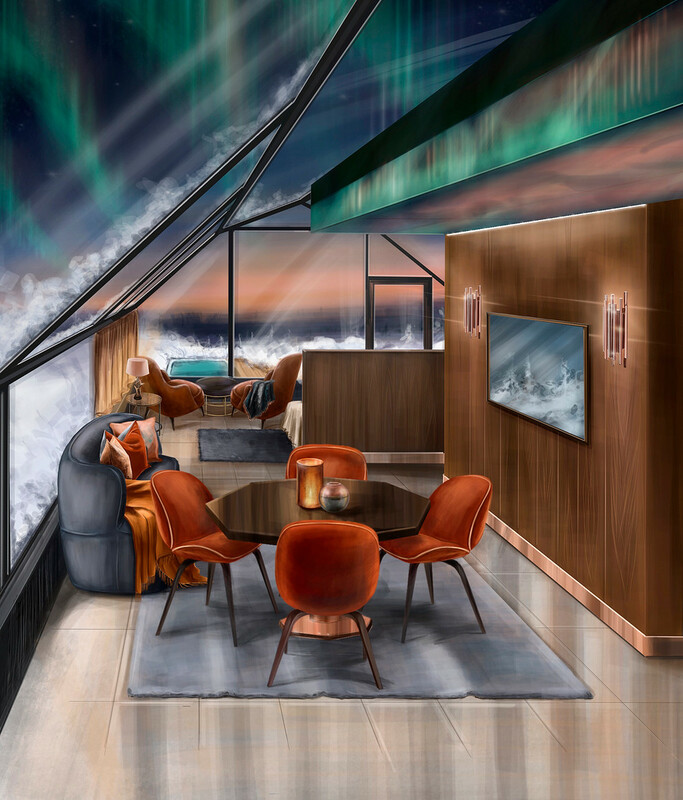 Each spacious (53 m²) and luxuriously equipped Suite Igloo has a private terrace with outdoor jacuzzi and illuminated Northern lights in the ceiling of lounge area. 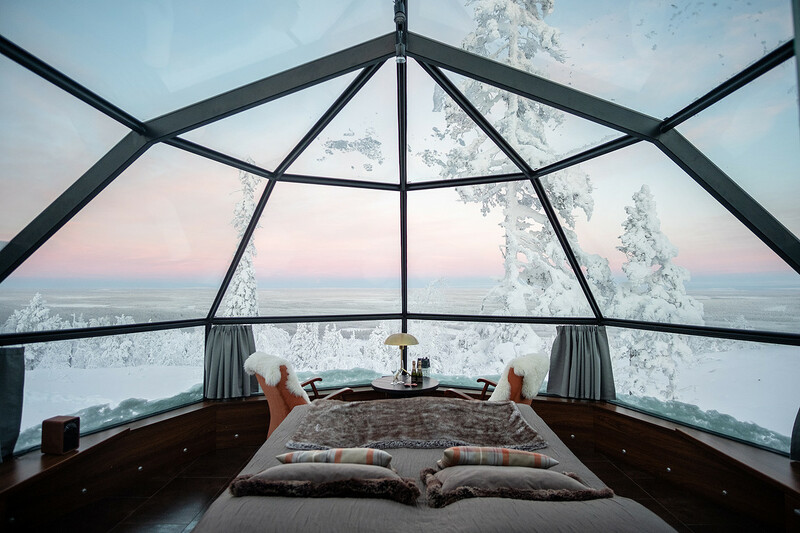 Suite Igloos have the best unobstructed view of the valley and the northern sky. They accommodate max. 2 adults and 2 children (under 13 years old). Extra beds for children are included in the price, as well as breakfast, welcome basket, minibar and portage service. Separate sleeping area with king size double bed. Lounge area with dining table and sofa chairs. Private terrace with outdoor jacuzzi. Small kitchen with microwave oven , electric kettle, coffee maker, specialty coffee maker and fridge. Breakfast, welcome basket, minibar and portage service included in the price. 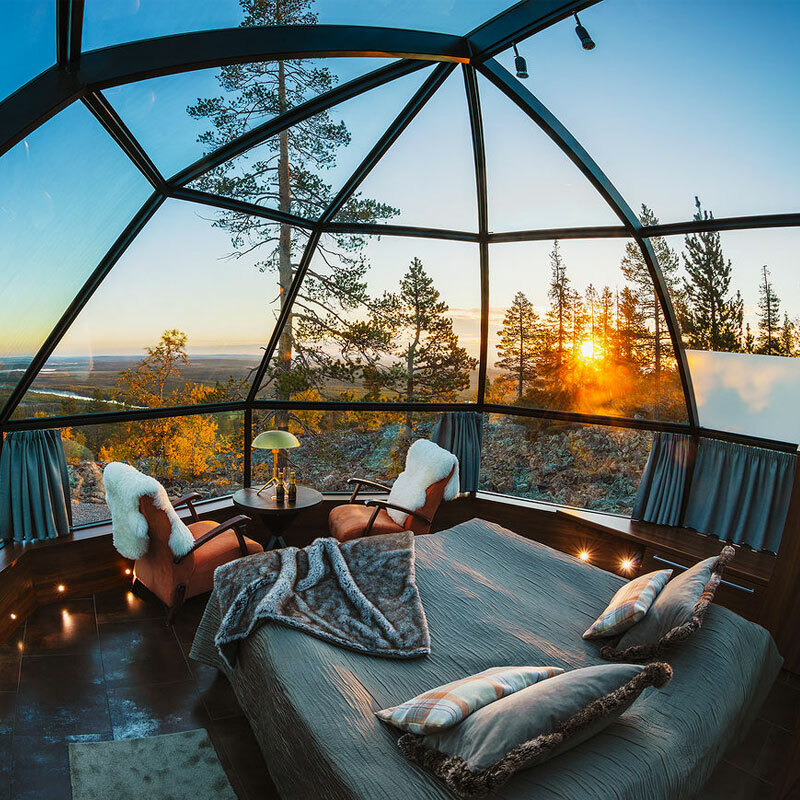 These high-standard, well-equipped glass igloos (23 m²) are situated either in the front row or right behind it, facing the valley or the forest. Some of the Prime Superior Igloos have space for extra beds (max. 2 children under 13 yo, 100 €/night). Breakfast and welcome drink are included in the price. Breakfast and welcome drink included in the price. 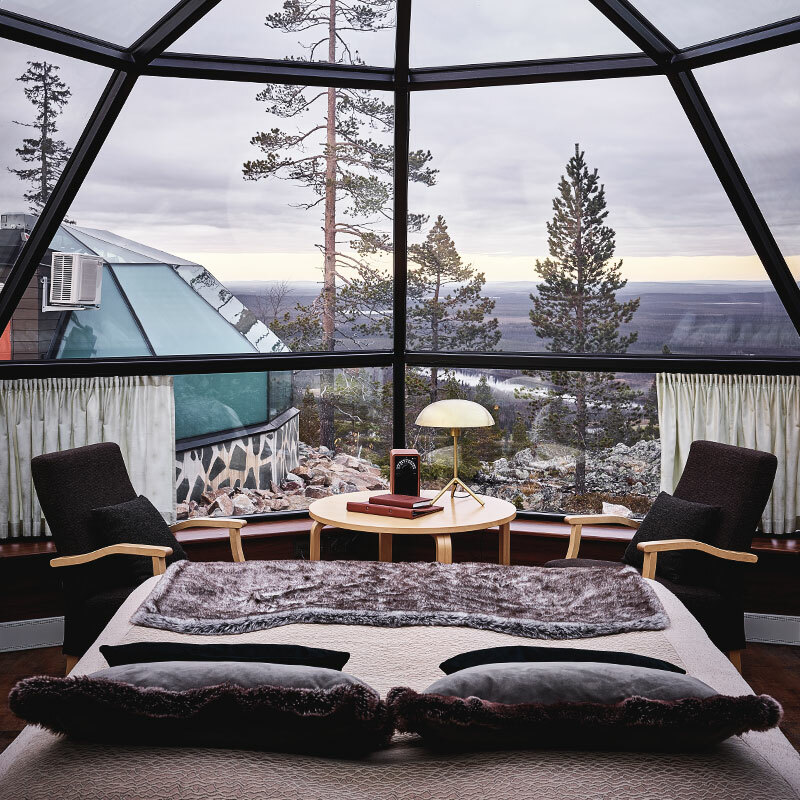 High quality Superior Igloos (23 m²) are situated on the side of the fell and offer an unobstructed view of the sky. Possibility for extra beds (for 2 children under 13 yo, 100 €/night) in all Superior igloos. Breakfast is included in the price. Small kitchen with microwave oven, electric kettle, coffee maker and fridge. Radio/Bluetooth, TV, WiFi, hairdryer, air conditioning, bathrobe and slippers.